Palestine. Source: Fanack after UNICEF, 2015. 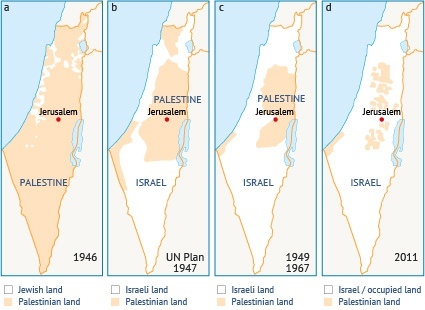 Palestinian loss of land, 1946 – 2011. Source: Fanack after AMEU, 2013. 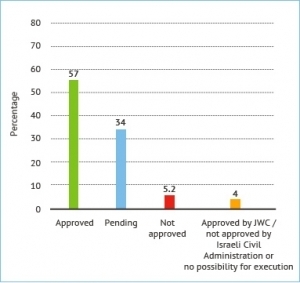 Status of Palestinian projects submitted to the Joint Water Committee during the period 1996-2008 in per cent. Source: Richard, 2012. 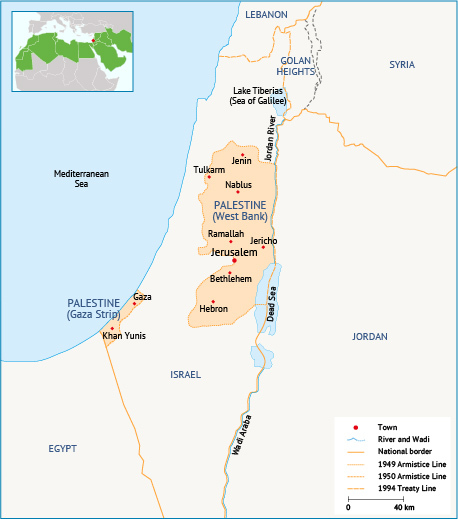 Distribution of areas A, B and C in the West Bank. 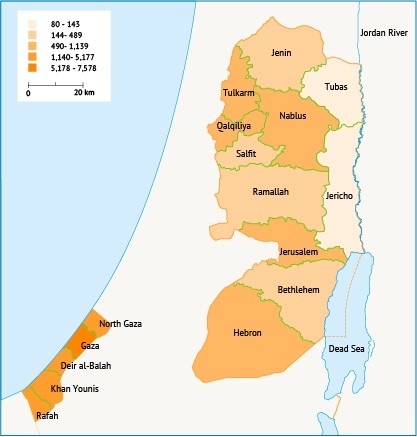 Population density in Palestine. Source: Fanack after PCBS, 2011. 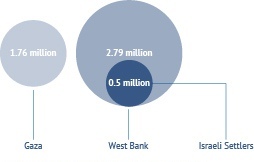 Population distribution in Palestine. Source: Fanack after PCBS, 2014. 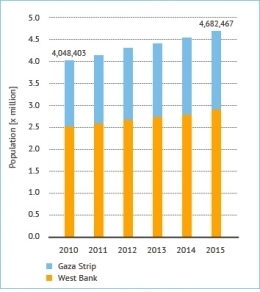 Growth of the Palestinian population in the West Bank and Gaza. 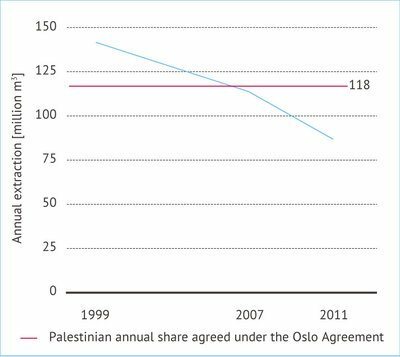 Source: Palestinian Central Bureau of Statistics, 2015. 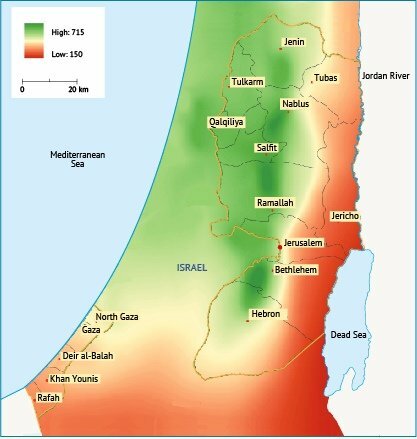 Average annual rainfall levels in Palestine. Source: Fanack after ARIJ. 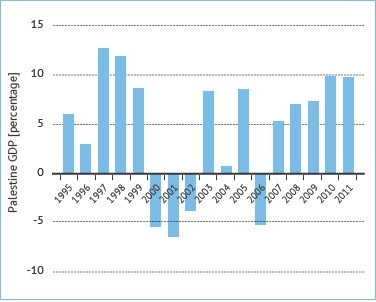 Palestine GDP annual growth rate. Source: Fanack after PWA, 2014. 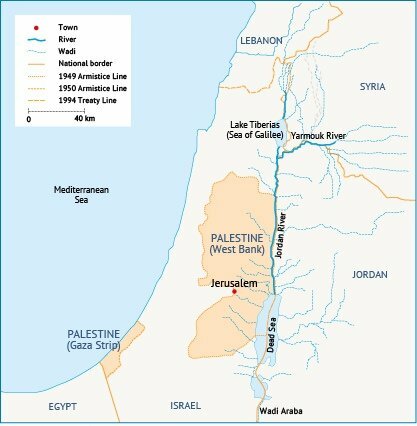 The Jordan River Basin. Source: Fanack after ARIJ. The Mountain Aquifer and the Coastal Aquifer. Source: Fanack after UNEP, 2002. Annual extraction from the Mountain Aquifer during the period 1999 – 2011 in million cubic metres. Source: Fanack after World Bank, 2009. 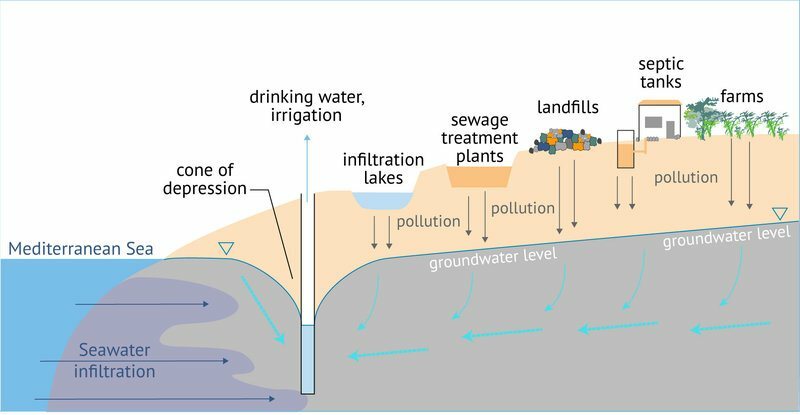 Groundwater pollution in Gaza. Source: Fanack after PWA, 2011. 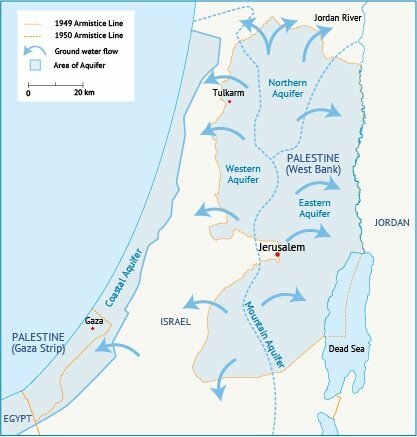 Annual water use in Palestine in million cubic metres. Source: PWA, 2014. 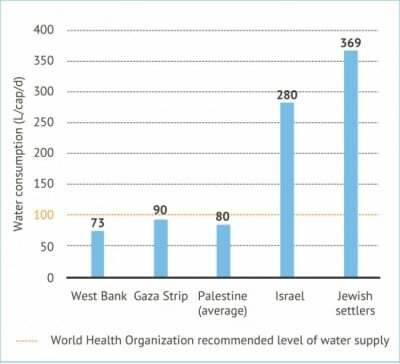 Water use in Israel and Palestine in litres per person per day (L/c/d). 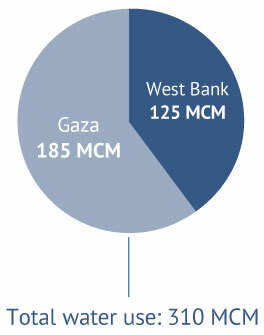 Source: Amnesty International, 2009. 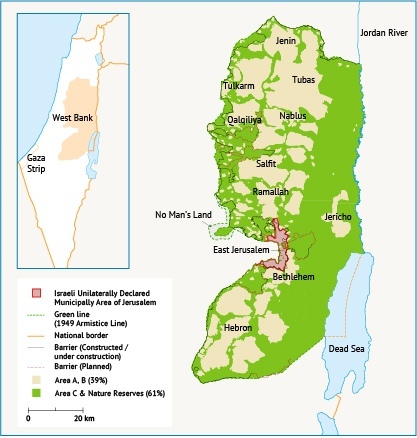 Water consumption in Israeli settlements and nearby Palestinian villages. Source: Richard, 2012, after B’Tselem, 2011. 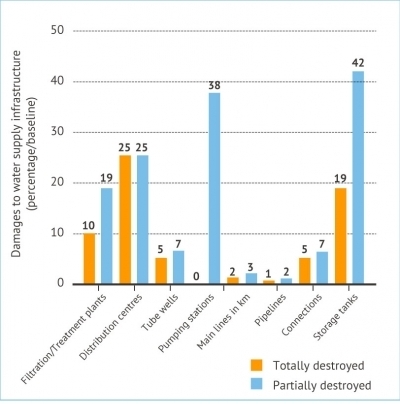 Overview of damages to Gaza’s water supply infrastructure after the 2014 conflict in % of the baseline. Source: Fanack after UNICEF, 2014.